Exciting news for all Dog, Pet, Horse Owners/Carers, Trainers and Breeders seeking ways to heal their animals quicker or provide drug-free pain relief for their beloved pet. 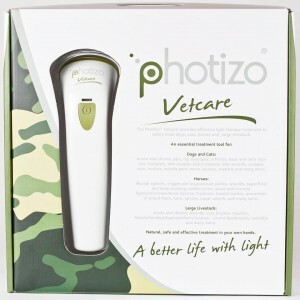 An affordable new Light Therapy Device that speeds up healing and provides natural pain relief is now available in the UK, Photizo® Vetcare. 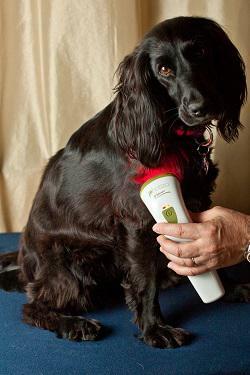 Owners have experienced incredible recoveries through the use of LED light therapy in animal rehabilitation across the world in recent years. Light therapy treatments are normally only available through highly trained professionals using complex laser/light therapy devices. Red Light therapy is scientifically proven, non-invasive and speeds up healing (up to 60% faster). Photizo® Vetcare provides natural pain relief for long term degenerative conditions such as arthritis. Treatable conditions include all types of wounds and superficial and deep musculoskeletal injuries. Photizo® Vetcare delivers a simple, one-touch, 31 second pre-programmed evidence-based dose of red and infrared light and brings this highly effective therapy into the hands of horse & pet owners/carers, breeders, trainers etc. Best results are achieved when light therapy is applied as soon as possible after an injury occurs and then as part of a professional treatment plan. Photizo® Vetcare is used and recommended by professional animal therapists and veterinarians across the world because it is a low-cost, easy to use, tool for anyone who wants fast results when treating their animal. This entry was posted in Health and tagged animal, dog, health, pet health, therapy, vets by admin. Bookmark the permalink.